Democratic Lieutenant Governor Candidate Mark Smith released a video today in response to the ad aired on Feb. 19 that served as the opening for Republican Governor Tom Corbett’s campaign for reelection. Though the two men will not run against each other in the April primary election nor the general election in the fall, Smith’s campaign rhetoric has targeted the governor’s record from day one. In his video clip, Corbett proudly ticks off bottom-line figures for which he takes credit as a result of sweeping spending cuts that he enacted when he was elected to office. In the ad titled “Everywhere,” Corbett attributes savings to decreases in the state work force, taking unnecessary fleet vehicles off the road, and reducing welfare spending by $338 million. Smith, who is in his second term as a Bradford County Commissioner, countered that cuts not mentioned in the Corbett ad are striking Pennsylvanians at their core and stripping average citizens of the services that bridge the gaps from economic struggles to financial stability. Corbett doesn’t have to look beyond his own approval rating – just 23 percent – to see the difference. Smith rebuffs the governor’s assertions that the cuts he enacted to balance the budget were mandated on him by the voters. Corbett readily admits in his ad that he did not go to Harrisburg “to make friends.” Nonetheless, the governor’s sharpest critics, including Smith, have maintained since Corbett took office that he does not understand nor work for the common man. Smith and his sisters were raised in a trailer in rural Bradford County by their father after Smith’s mother died at an early age of cancer. Smith’s father still lives in the trailer, which is prominently featured in Smith’s ad. Smith explains that the social programs that were available to his father helped him succeed at providing for the children under the circumstances. “The only reason that I am here today is because Democrats fought for kids like me,” Smith relates in the ad, noting that ensuring that every child has the opportunity to succeed is one of his primary goals as a candidate for lieutenant governor. Corbett has pledged to reinstate many of the education cuts if reelected. Smith also has first-hand experiences with the natural gas industry and its impacts on the economy and environment that is lacking in Harrisburg. He and his fellow Bradford County Commissioners – both Republicans – have criticized the Corbett administration on numerous occasions for failing to involve Bradford County experts in discussions about industry regulations and the various impacts of drilling and transportation. 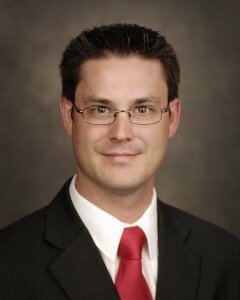 In 2001, Smith became the youngest county commissioner and chairman in Bradford County history, refinancing the county’s debt and passing four balanced budgets. He was also instrumental in legislation and initiatives like capturing the methane emissions from the county’s landfill and using it to generate power for the nearby prison and retirement facility. To view Smith’s campaign ad, visit http://www.youtube.com/watch?v=m5XcP5GRd88. To view Corbett’s first ad, visit http://washingtonexaminer.com/pa.-gov.-tom-corbett-releases-first-campaign-ad.